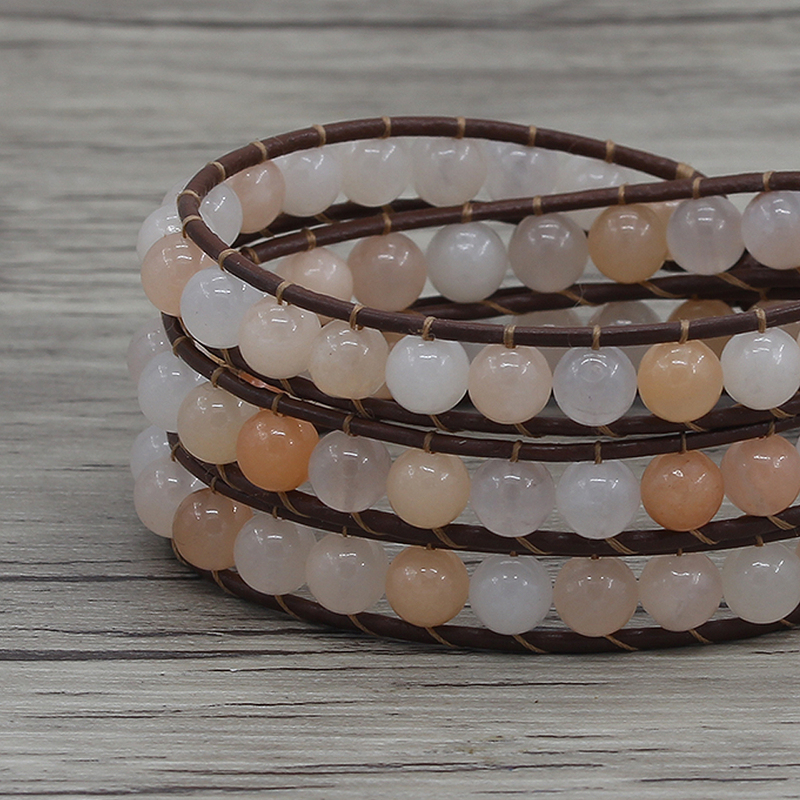 ► Product Description: The pink aventurine beads size is 6mm. 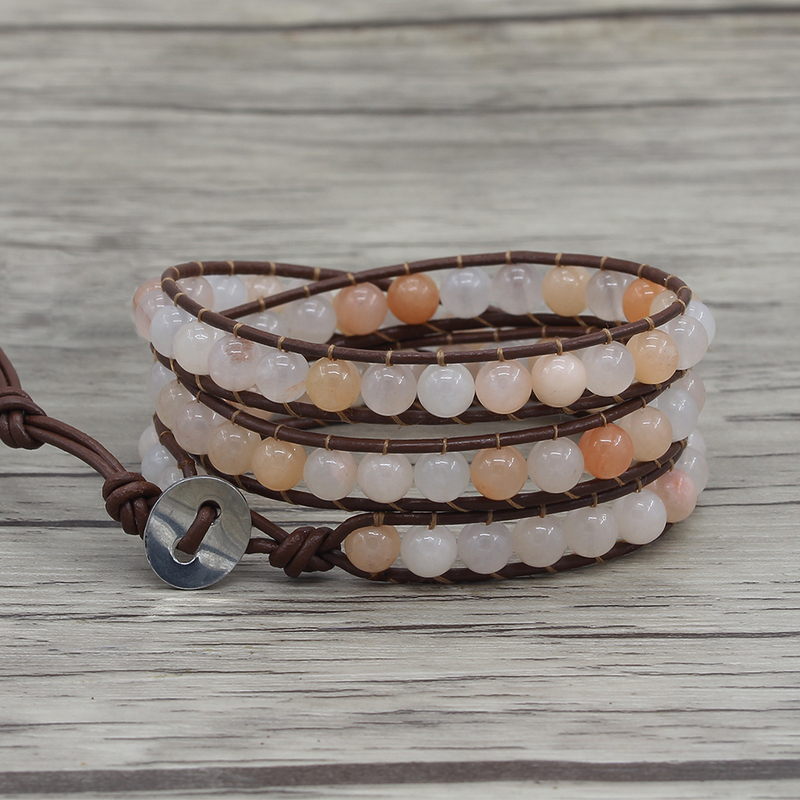 This bracelet is 3 wraps around wrist, –bracelet has extra three adjustment loops to fit wrists from 6 to 8 inches. –About WRIST SIZE, please measure the narrowest part of your Wrist, and select a size, if there is no correct size for you, please tell me your size in the “message to seller” during checkout, I will make just for. 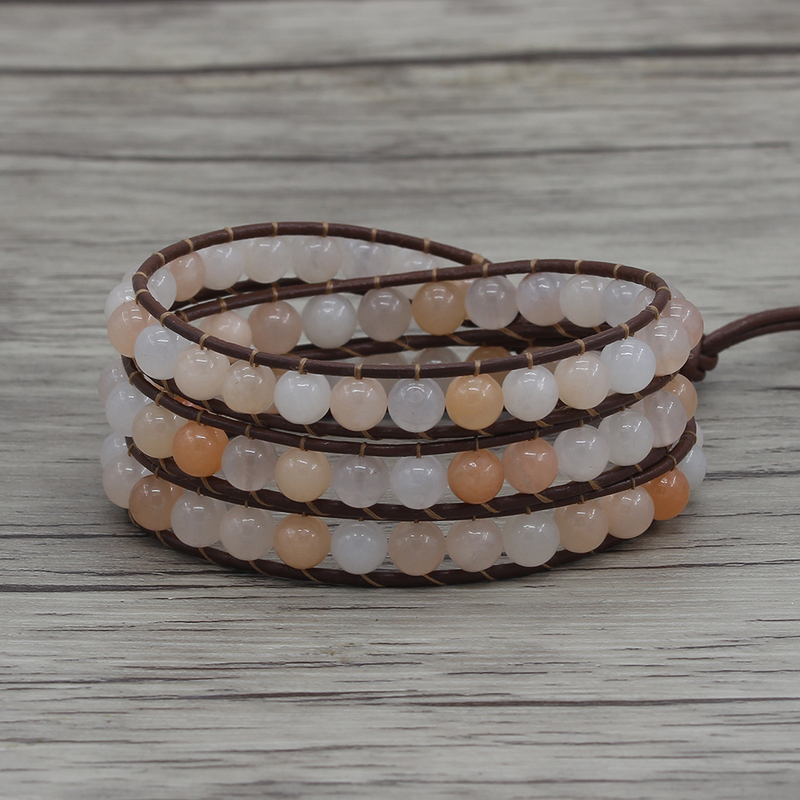 Color varies from monitor to monitor, so please allow for slight variation in leather and beads colors. –Button: all the Buttons we have are in the last picture, please leave a note about which button you would like to use, if there is no note, then I will use the button as bracelet shown. If you need good price for fast shipping(3 to 7 days), please feel free to contact me. Please note: For Busy seasons or holidays, shipping time may be much longer than usual.